Your child will be motivated to practice these recognizable tunes and will look forward to playing them for your family. Each of these Pop pieces correspond with the Lesson Book levels being studied and allow for Carolyne to play duet with your child as they are learning. 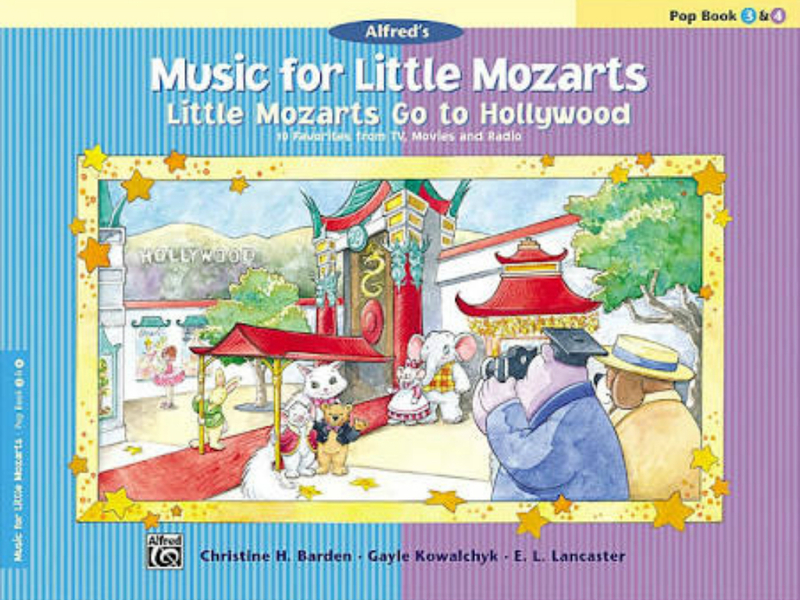 The engaging story "Beethoven Bear, Mozart Mouse and the Birthday Surprise" recounts how the Music Friends compiled a book of popular music for Clara Schumann Cat’s birthday present. 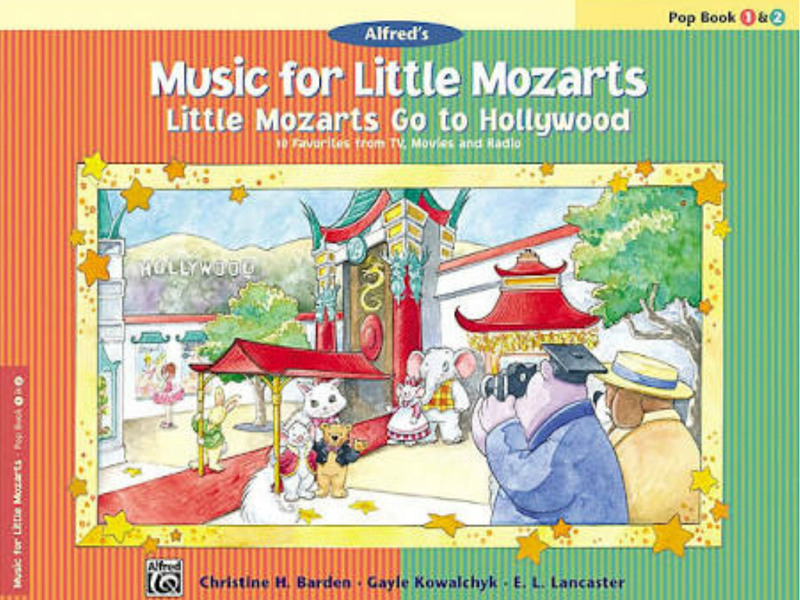 The engaging story "Beethoven Bear, Mozart Mouse and their Big Holloywood Adventure" recounts how the Music Friends made their first visit to Hollywood.